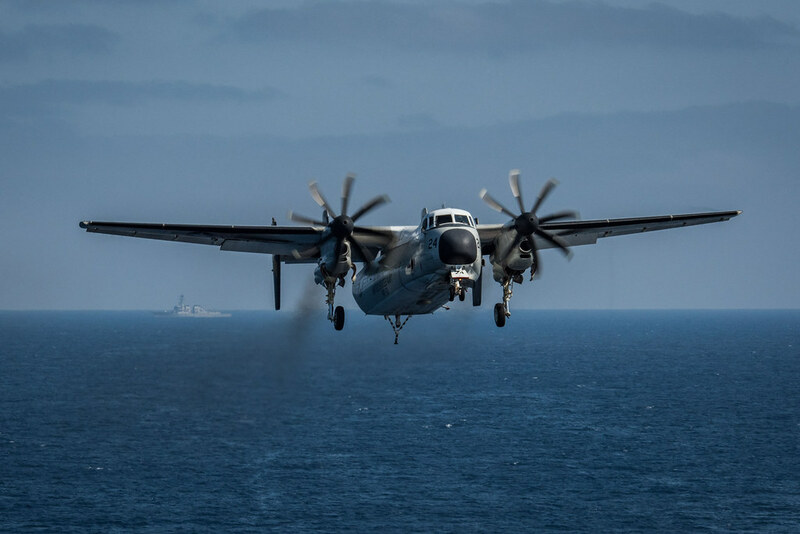 PHILIPPINE SEA — The U.S. Navy ceased search and rescue operations at 10:00 a.m. Japan Standard Time on Nov. 24 for three Sailors not immediately recovered after a C-2A Greyhound crashed on the afternoon of Nov. 22. USS Ronald Reagan (CVN 76) led the combined search and rescue efforts with units from the Japan Maritime Self-Defense Force (JMSDF). During the course of two days, seven U.S. Navy and JMSDF ships, three helicopter squadrons and maritime patrol aircraft covered nearly 1,000 square nautical miles in the search for the missing Sailors. The Sailors names are being withheld pending completion of next of kin notifications. 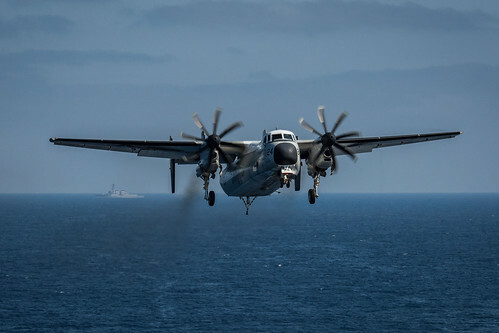 The following ships and aircraft assisted in the search efforts: U.S. Navy guided-missile destroyers USS Stethem (DDG 63), USS Chafee (DDG 90) and USS Mustin (DDG 89); MH-60R Seahawk helicopters of the “Saberhawks” from U.S. Navy Helicopter Maritime Strike Squadron (HSM) 77 “Saberhawks” and “Warlords” of HSM 51; MH-60S helicopters from Helicopter Sea Combat Squadron (HSC-12); P-8 aircraft from the “Fighting Tigers” of U.S. Navy Maritime Patrol and Reconnaissance Squadron (VP) 8; P-3 Orion aircraft of the “Red Hook” U.S. Navy Maritime Patrol and Reconnaissance Squadron (VP) 40; JMSDF Helicopter Carrier JS Kaga (DDH 184) and JS Ise (DDH 182); JMSDF Akizuki-class destroyer JS Teruzuki (DD 116); JMSDF Murasame-class destroyer JS Samidare (DD 106), and JMSDF Hatakaze-class destroyer JS Shimakaze (DDG 172).